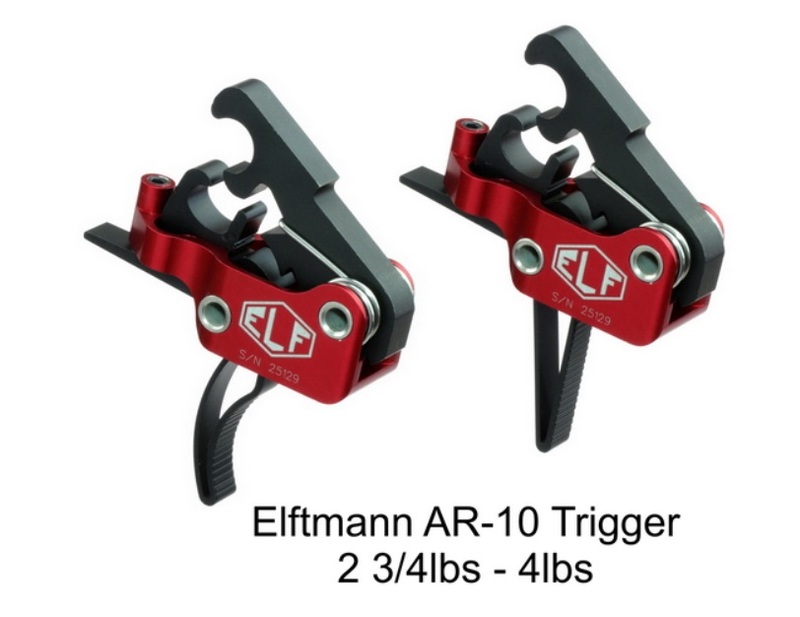 The ELF Drop-In AR-10 Trigger has been built to withstand the punishment of high powered calibers. 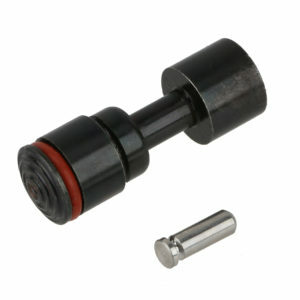 The only AR-10 trigger using aerospace grade sealed bearings, making for an incredibly smooth and fast trigger pull. Our exclusive .043 double double wound polished piano wire hammer spring ensures full ignition of any ammo including .308 and 7.62×39. 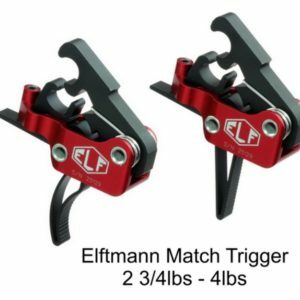 Pull weight from 2 3/4lbs to 4lbs is so easy to adjust it can be done in seconds without removing the trigger from your lower receiver. The AR-10 trigger is essentially the service trigger with a lighter pull weight range.